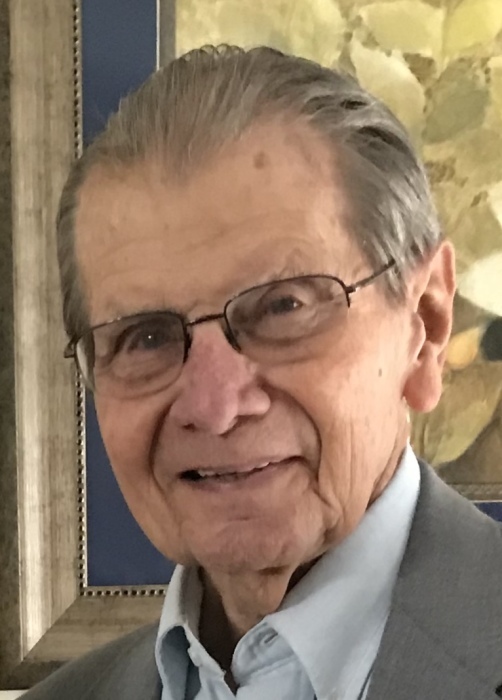 Obituary for Roy I. Emrich | Williamson Funeral Homes, Ltd.
Roy Irwin Emrich, 86 of Worden, Illinois passed away Sunday, September 2, 2018 at Meridian Village in Glen Carbon, Illinois. Born November 8, 1931 in Worden, Illinois, he was the son of the Late Mr. & Mrs. Irwin Emrich. He married Betty Jung on June 6, 1953 at Trinity Lutheran Church in Worden, Illinois and she survives. He was the Owner\Operator of Emrich True Value Hardware in Worden and Staunton. Roy served in the U.S. Air Force from 1951 to 1953. He was a member of Trinity Lutheran Church in Worden; the Worden American Legion Post # 564; and the Worden Lion’s Club. He is survived by his Wife, Betty Emrich; 3 Daughters, Deborah (Dave) Roberts, Diane (Dean) Weishaupt, and Donna (Timothy) Bruns; 6 Grandchildren, Rachel (Christopher) Cunningham, Emily (Phillip) Sharp, Courtney Roberts (fiance Kel Casto), Connor Roberts, Garrett Bruns, and Gavin Bruns; 1 Sister, Delores Naglich. Several nieces and nephews also survive. Besides his parents, he was preceded in death by 1 Sister, Carolyn Miller. Friends may call from 5 to 8 PM on Friday at Trinity Lutheran Church in Worden. Funeral Services will be held Saturday, September 8, 2018 at 11:00 AM at Trinity Lutheran Church in Worden with Chaplain Brad Thomas officiating. Burial will be held at Worden Lutheran Cemetery in Worden. Memorials are suggested to Trinity Lutheran Church of Worden.